"Mace in the Hole." Washington City Paper. 22 June 2006. Inmates Awarded $248,000 for Abuse. Washington Post. 2 March 2006. D.C. Inmates ‘Tortured,’ Mothers Say. Washington Post. 25 October 2005. D.C. 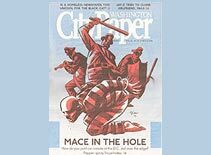 Jail Inmates “Tortured:” Is this D.C.’s Abu Ghraib? CBS - W*USA News, The Derek McGinty Show. 24 October 2005. Inmate Abuse? ABC-7 News - WJLA. 7 October 2005. Fox 5 News Investigates Prison Problems. Fox 5 News. 7 May 2003. Daniels, et al. v. District of Columbia. 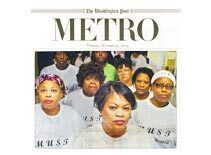 Metro Verdicts Monthly. Vol. 9, No. 11. 1998. I-Team Investigates: Prison Crisis. ABC Channel 7 News. 1 May 1997. Award in Inmate’s Death. Washington Post. 5 March 1997. Inn-Dependent, The George Washington American Inn of Court Newsletter. March 1997. Inmate Stabbed to Death. CBS - W*USA 9 News. 8 February 1995.
Business From Behind Bars. Legal Times. 8 July 2002. 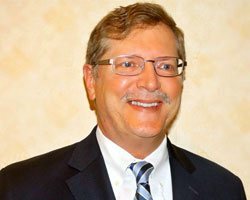 District Paid $12 Million in Settlements. Legal Times. 1 July 2002. Looking to Make Changes Behind Bars. Washington Post. 2 February 2006. Inmate Violence Ends In Death. Buffalo Current. November 2005. D.C. Jail Conditions Unchanged Despite Law. Washington Post. 24 April 2005. New Security Cameras in DC Jail. ABC-7 News - WJLA. 19 February 2005. “Security cameras are a good start, but they help deter violence only if a guard is watching the monitor,” said Sparks. Can the New Security Cameras Save Lives? News Channel 8 - WJLA. 18 February 2005. Jail in Crisis: Questions Surround DC Jail Management. CBS - W*USA 9 News. 27 February 2004. Weapons Found in City Jail. Washington Post. 29 January 2004. 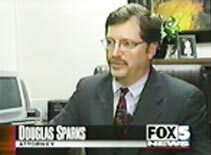 Testimony of Douglas Sparks. District of Columbia City Council Oversight Hearing on the District of Columbia’s Department of Corrections. Committee on the Judiciary. DC Cable Channel. 1 March 2004. District of Columbia City Council’s Report On The Inmate Jail Improvement Act of 2003. District of Columbia City Council. Committee on the Judiciary. 22 May 2003. Testimony of Douglas Sparks, Attorney for Family of Givon Pendleton. 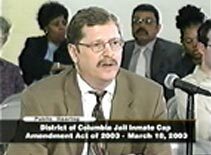 District of Columbia City Council Hearing on the District of Columbia’s Inmate Jail Cap Amendment Act of 2003. Committee on the Judiciary. DC Cable Channel. 18 March 2003. Live testimony by attorney Sparks describing litany of grossly deficient security measures at DC Jail, and supporting legislation to cap inmate population. Testimony broadcast on DC Cable. “Many stabbing cases are the result of shocking negligence . . . Sparks obtained the largest prison death award in D.C. "
"These are just a few of the weapons predatory inmates manufacture in D.C. prisons. This one was used to murder my client's son." 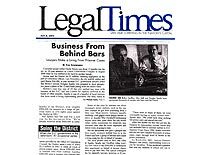 The Legal Times featured Mr. Sparks and many of his cases in a cover story about the financial cost of not protecting inmates from violent assaults. "Security cameras are a good start, but they help deter violence only if a guard is watching the monitor." 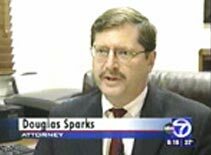 “But now there is evidence that correction officials are breaking their own rules,” says one DC attorney, Doug Sparks.